Dr. E. Esther Lopez, DDS, provides comprehensive oral health and dental care for the entire family. She enjoys providing more complex and challenging treatment requiring an interdisciplinary team approach which PDA is known for. 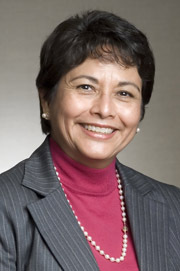 She is Assistant Professor in the Department of Removable Prosthodontics at the University of the Pacific, Dugoni School of Dentistry; she chairs the “Dental Academic Advisory Committee” at the City College of San Francisco, and has been an active staff member of California Pacific Medical Center since 1987. She is fluent in English and Spanish.